Fast approaching its fortieth anniversary, 2000 AD is an iconic part of the British comics industry and has launched the careers of many incredible writers. But unlike writing for the screen, which has been dissected over and over, the work of these comics writers is relatively unstudied. 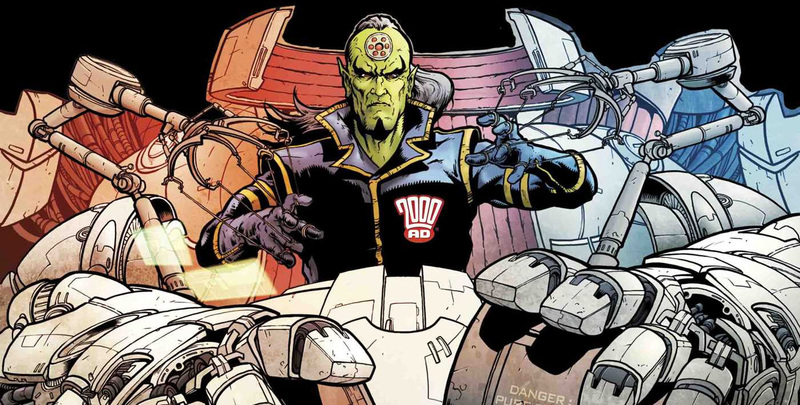 The 2000 AD Script Book aims to remedy that, reprinting instalments from various recent strips alongside their original scripts. This approach allows for much insight into the creative processes behind the works of many popular writers, from longstanding 2000 AD legends like John Wagner and Pat Mills to the stars of today like Al Ewing and Robbie Morrison. It’s particularly interesting – perhaps more so than reading film scripts – because the comics industry has no set format or style, and so each script varies from the next, and so studying all the styles involved will help budding writers find their own style – and reassure them that they’re not doing it ‘wrong’! As well as enthusiastic writers, this book is also a great read for 2000 AD fans to dip in and out of, in order to learn more about how their favorite series came to be. There's a great range of characters covered – from Judge Dredd to Sláine via Durham Red, Bad Company, Brass Sun, and much more.